A few days ago, there was a method to convert a T-Mobile OnePlus 6T into the international variant, but it required the unlocked bootloader, which also required a SIM unlock that T-Mobile gives users a hard time about. However, thanks to @Dark Nightmare and @iaTa, they come this far. 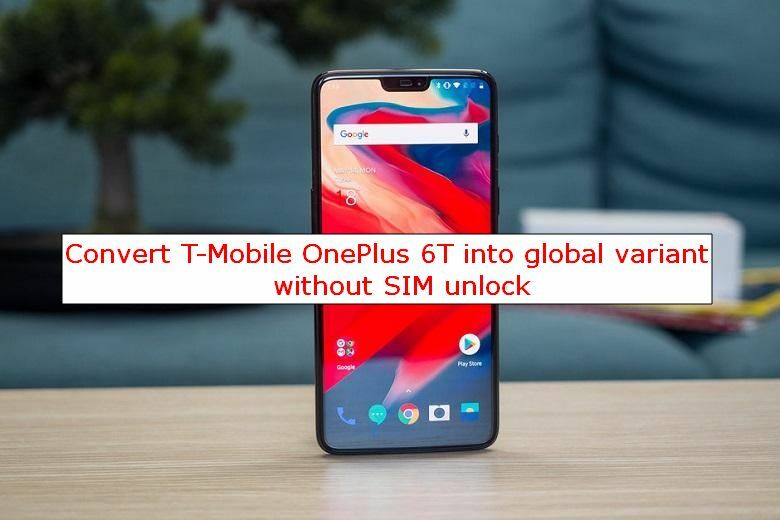 In this post, we’ll share all T-Mobile OnePlus 6T users a new method to turn a T-Mobile OnePlus 6Tphone into an international version. Interestingly, it does NOT require the unlocked bootloader or a SIM unlock! Before getting started, you should remember that the following steps will erase everything on your phone. So, you need to back up all of your important data before proceeding. (The patches will remove checks that allow images to be installed the phone. We have already done a test on the “MsmDownloadTool V4.0_factory_patched.exe” file without the “MsmDownloadTool V4.0_factory_mcl_op1_patched.exe” variant. You can also perform a binary diff on the EXEs if there’s an issue with trust. Connect your phone to the computer while still holding these two buttons. Wait for about 5 minutes until the process is completed. Once done, simply reboot your OnePlus 6T. Your device will boot up normally, but you no longer see T-Mobile logo, instead, it will be the OxygenOS generic logo.